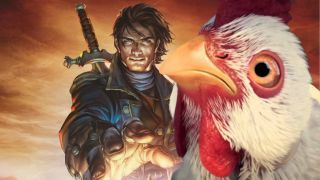 Fable is reportedly coming back on Xbox and fans are excited: "Chickens will be kicked"
A canceled game, a shuttered studio, and close to two years later, it looks like Fable is ready for a comeback. Rumors have swirled for weeks about a new game in the Xbox-exclusive (also sometimes PC) RPG series coming from Forza Horizon 3 developer Playground, but it was nothing solid enough to share with you fine folks; until Eurogamer published its own report today backing up the claims, saying it will return as an open-world action RPG with a focus on storytelling and characters. According to Eurogamer, Playground is hiring on significant numbers of new staff to get ready for full-scale production on the new Fable project (read: don't expect a release date or even an official announcement anytime soon). It sounds like it will be a fresh start for the franchise, totally removed from the free-to-play Fable Legends project that did its last fart emote while still in beta tests back in spring 2016. After years of quiet, Fable fans are getting excited. Whatever new things Playground's project tries, it will still need to grapple with some old issues, as many were quick to point out. Microsoft has already refused comment on the report, but I'll let you know if and when any more news about the future of Fable comes to light. Until then, why not check out some of the best Xbox One games that you can play right now?